Interview With Tina Fischlin: The Face Behind AfS’ Missions to Myanmar. To convey this message, AfS is surrounded by many exceptional people who have dedicated their time and given their love to our cause. 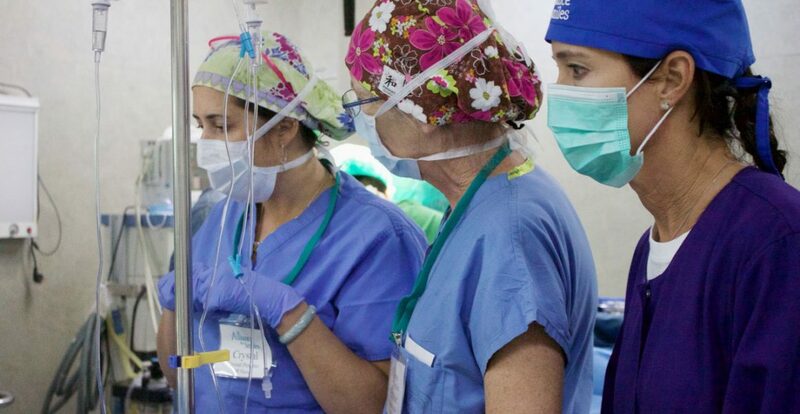 Few of those missions would exist without the dedication, passion and commitment of Board Member and International Mission Director, Tina Fischlin. Tina works tirelessly to make children’s dreams of being accepted for who they are come true. 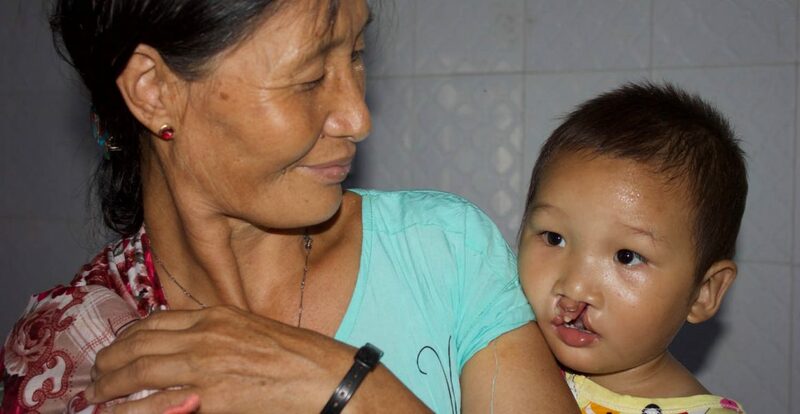 From finding the funds, to communicating with the medical and non-medical teams and by building international partnerships, Tina has moved mountains to save, help and share the smiles of children born with cleft lip and palate in Myanmar. 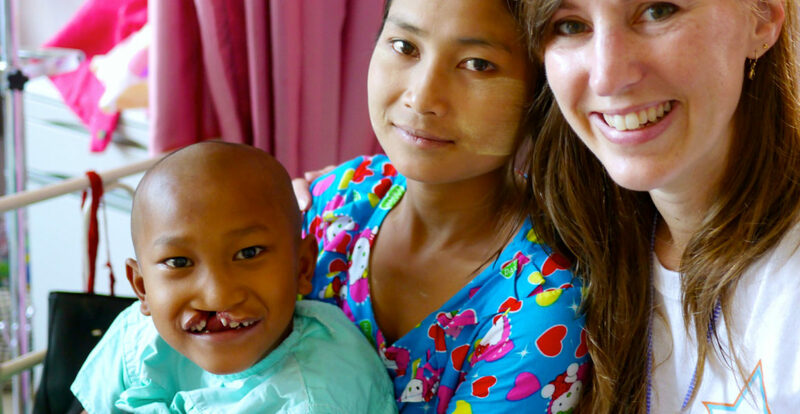 After more than 6 missions to Myanmar since March 2014, Tina has been working diligently to return to Myanmar each year to help more children who need our assistance. 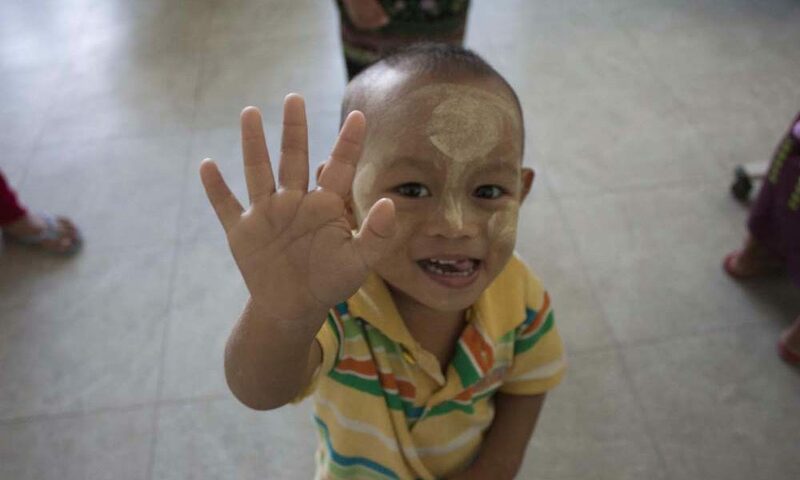 Over the next six months, we will return to Myanmar four times, bringing the number of children we have helped to 6,837. Meet Tina Fischlin (T.F), Board Member, Mission Director, and recipient of our Volunteer of the Year and Distinguished Service Awards and learn how we build a mission from the ground up. -Why Myanmar? How did you make your first contact? T.F: I was on a AfS mission to Bangladesh with Wilber Breseman when we decided to travel to Myanmar as well. Given that I had a connection with the US Ambassador in Bangladesh, I emailed him. He pointed me to the US Ambassador in Myanmar and I got in touch with Medical attaché. -Can you take us through the process of a mission in Myanmar? T.F: Missions vary by region. Most of the time, it is a connection from a connection to a connection. 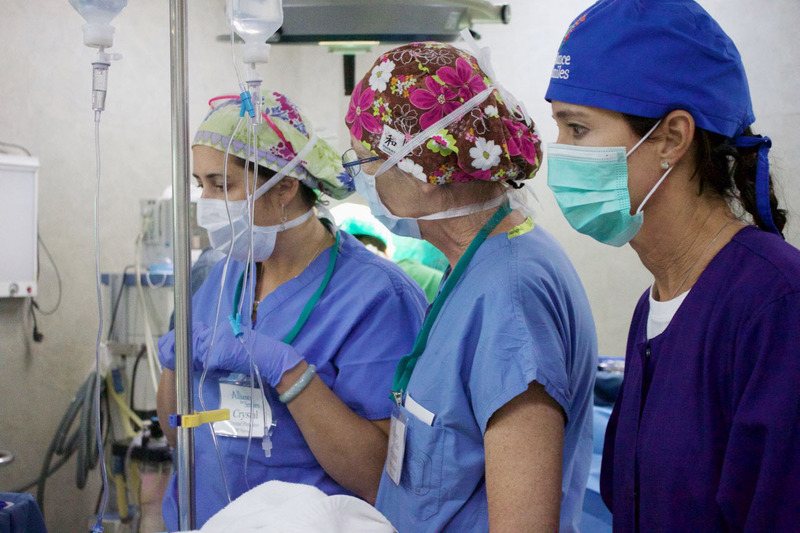 Meanwhile, it is the NEED that exists in countries where there is little medical care for the less fortunate. When the two conditions meet, a mission is born. -What are your responsibilities as a Mission Director? T.F: As a mission director my role is to oversee all aspects of the missions which include international transportation, hotel, food for the team as well as working directly with international hosts to obtain licenses, visas and work permits. A big part of this job is also the pre-mission organization with the team, including communication to outline the teaching objectives of the mission and detailed instructions on how we are to achieve these goals. As a mission director my role is also to ensure safety by registering all teams with the necessary government offices and communicating closely with those offices. – How long did it take you to bring the first Yangon Myanmar mission to life? T.F: Over a year! It is not an easy process… Many stars must align! –How were you able to bring the missions to other cities in Myanmar? 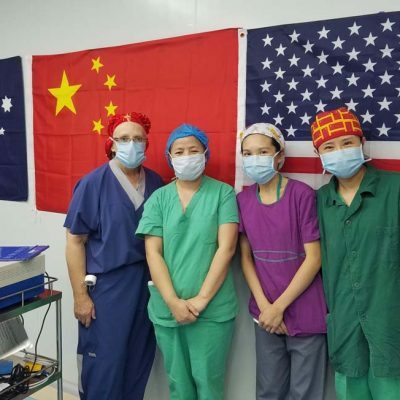 T.F: Thanks to connections I had made with our partners at Victoria Hospital in Yangon. –What is your most beautiful memory? Any particular story that touched you in a profound way? T.F: Hum…there are many……all are special. I think the most beautiful or the one that touched me the most is the novice monk. But EVERY child or adult that we meet is special. Seeing the faces of the parents who know that their child can have a chance at a normal life, be productive and not be hidden away or taunted. See the story of my Monk Friend! 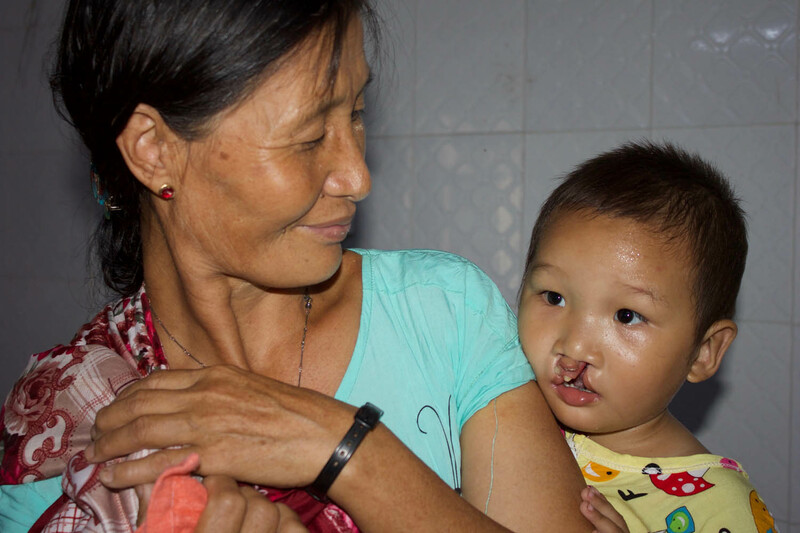 Aung Aung Htoo, affectionally known as “Mini-Monk” Zee Haut Sein (mother) and U. Kyaw Htike (father) have waited 7 years for their son to have his cleft lip and palate repaired. In March we repaired his lip and yesterday his palate. They are farmers in the Sitkyine region outside Mandalay, 13 hours bus ride from Yangon and they earn 200,000 kyat ($200 US) annually. 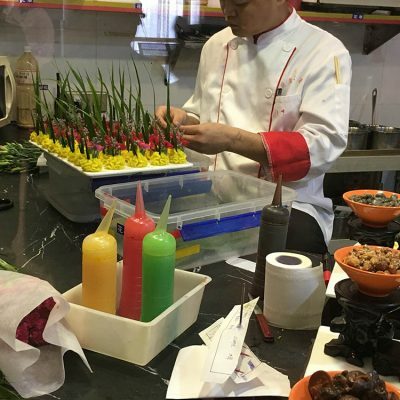 Aung Aung’s life before and after is quite different. Before his lip repair he was shy and reserved. However, his parents told me that he has “spirit” and when the other kids would make fun of him he wanted to “fight.” He only attended school for one year before they removed him and arranged through an Uncle his ultimate admission into monk-hood. They wanted blessings for him and not such a difficult life considering his deformity. He was constantly the subject of ridicule and joking and even his fellow novice monks were abusive. Imagine how sad this must have been for such a young child living in a monastery where there is supposed to be peace and harmony. 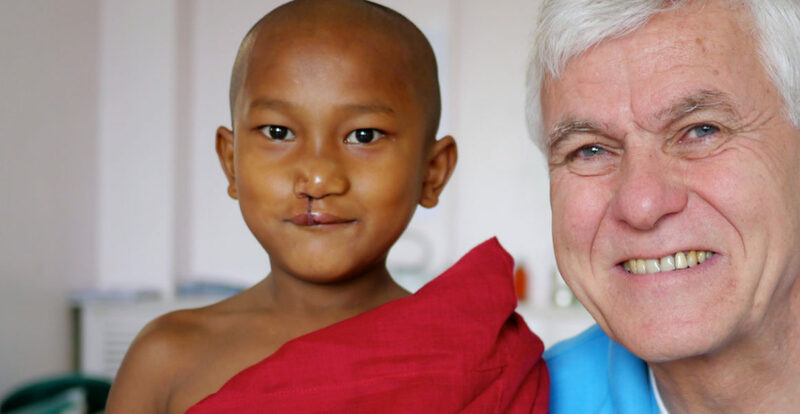 After the lip repair he returned to the monastery with confidence and now enjoys the daily readings and meditations. His parents told me he has been called handsome by many, which makes him smile. And what a great smile he has! 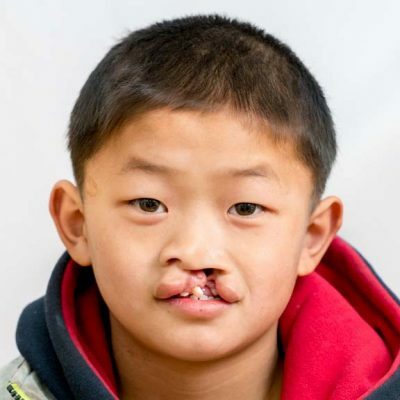 We have repaired his palate and his parents tell me they feel his “spirit” will be stronger too. Imagine the blessings that will flow from the mouth of this young novice monk as he begins to speak. I feel he will be a great monk and share peace and tranquility with many, just as he has done with our team members here in Yangon. 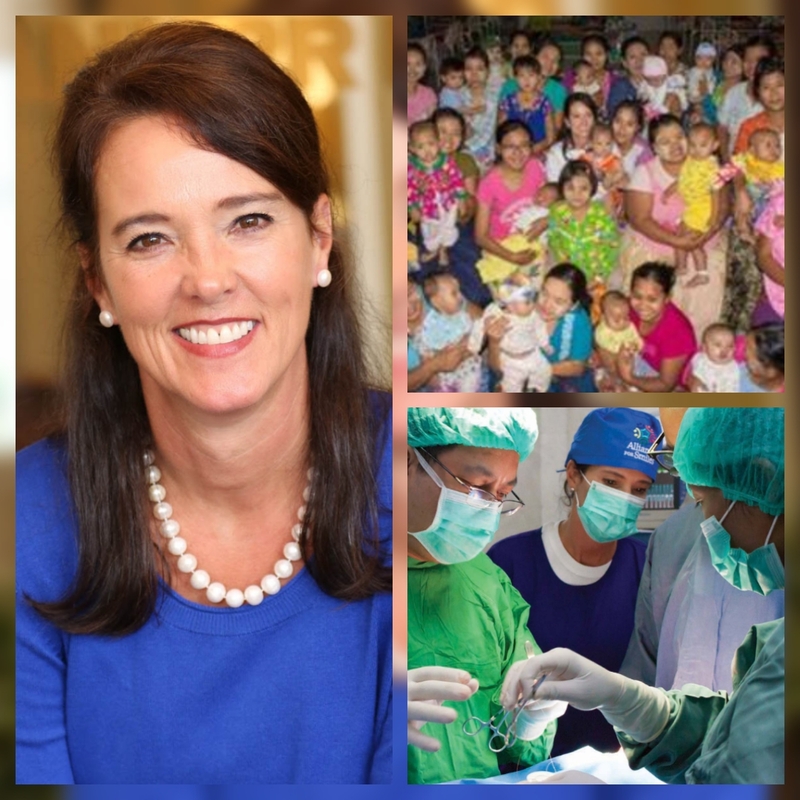 – What challenges have you faced working as a Mission Director in Myanmar? T.F: There are many challenges being a mission director. Your responsibilities are endless… often stressful. For example, logistics before the mission, logistics on the ground, licenses to practice… simply stated… The MD is responsible for the entire team and I take that very seriously. The one thing that never ceases to amaze me is that once the team comes together they all just fall into their duties and help each other where needed. NO ONE has a personal agenda. It’s “get busy and change lives!